General Entry Now Closed – Grovel nicely and you can get an “I know I’m an idiot for not entering on time, please sir may I have an entry? ” entry – You will get a Dog Tucker number plate and there won’t be any goodies in your bag! 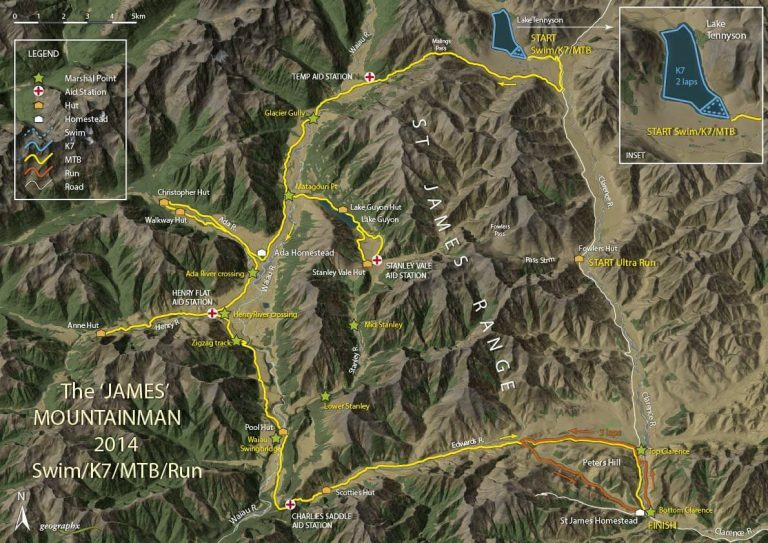 Entries limited to 300 across both Mountain Man races. The Kayak stage will be 1.5 loops of the lake perimeter. From the kayak transition area riders will head out to the Top House road and head down to the Clarence bridge, after crossing the bridge they will turn right and follow the 4×4 track (think “Dual Single Track” – DST) to the top of Malings Pass, from where riders can enjoy a solid 5km downhill descent to the Waiau River. While there will not be any compulsory gear to carry, it is very strongly recommended that runner’s carry some form of hydration of 2l capacity or more! There will be a mini aid station at Bull Gully (at approximately the 14.5km mark).